1. Log in at app.companycam.com. 2. 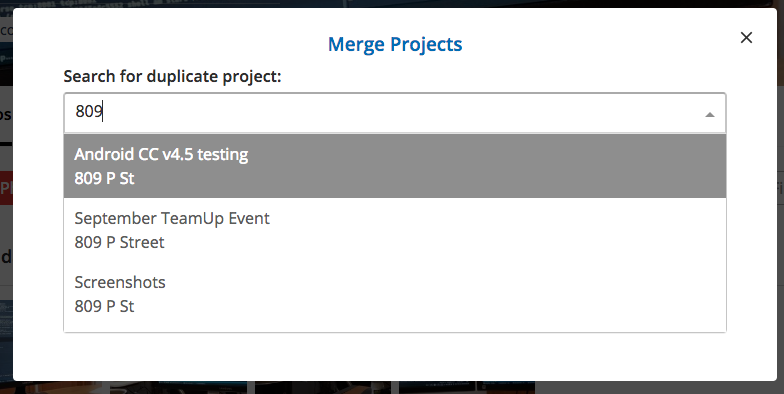 Open one of the duplicate projects, click the 'Manage' button & then choose 'Merge Project'. 3. 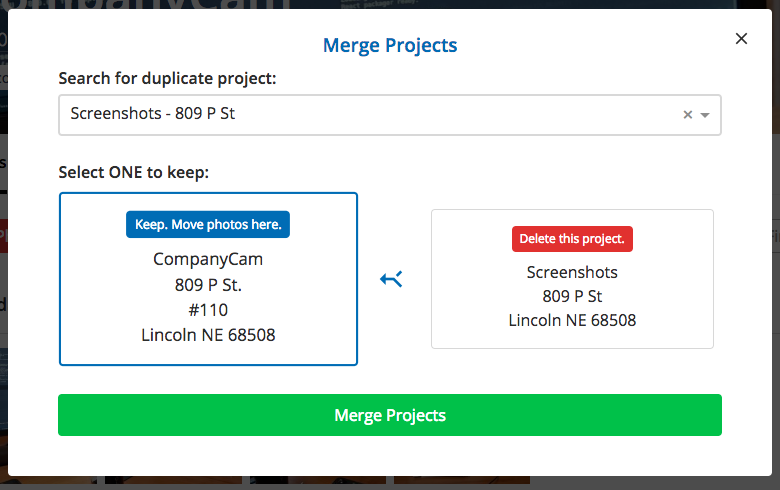 In the Search Field, start typing the name or address for the duplicate project. 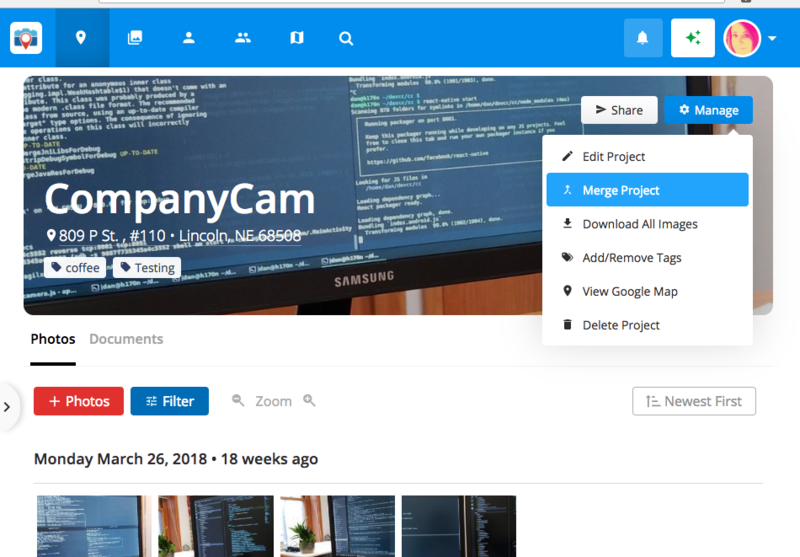 A drop-down menu will show all possible projects in your account, click on the correct project. 5. Click the green 'Merge Projects' button and that's it! You're done!